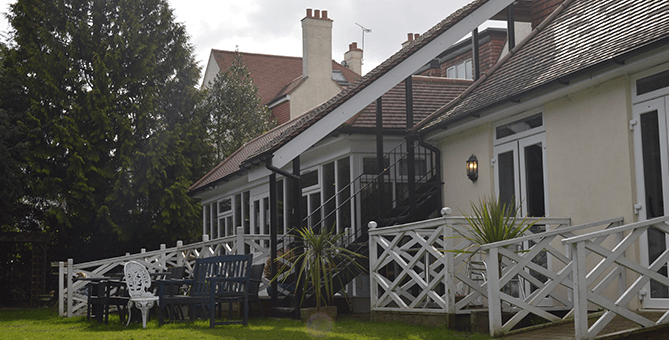 Are you in search of a reliable nursing home in Croydon? If yes, we can help you. Whether you or any of your near and dear ones need nursing care homes in South Croydon, we are here to help. Choosing a nursing home in Croydon can be quite overwhelming, because you have so many options to choose from. However, there are certain things that should take into consideration before settling for the most suitable one for you. Care providing: This one of the most important feature that you should consider while choosing a nursing care home for elderly. Aged people who need support and personal care should be given special attention. Our team, at St Judes Nursing Home, provides all the support and care they need to make their stay comfortable and enjoyable. Facilities: It is very important that a nursing home should provide certain facilities to help the patients deal with the problems or issues related to their illness. While most nursing care homes in South Croydon provide good facilities, we at St Judes nursing home provide some of the best facilities. We provide outdoor trips to local points such as Richmond Park, Local Garden Centers. We organize trips to the seaside and Brighton, One to one game, helping in some Craft or hobbies and show old memorable movies in our cinema room. There is newsletter, Daily Sparkle for patients which give information about events occurred on this day over the year which helps patients in remembering some facts related to the past. There is also an in house salon and an aroma therapist visit weekly. There is provision for smoking rooms for residents who smoke. Technology: By using latest technology the residents can connect to their friends and family. At St Judes our residents are also given access to latest computer technologies through our Simply Unite IT system which also has Skype. The staff and team: It is very important for you to know the skills of the care givers and team of the Nursing Home in Croydon so that your loved ones get all the facilities with a smile. At St Judes we follow a person centered approach that is a blend of kindness, sensitivity and sympathy. We owe our success to our highly professional team of caregivers who cater to personal needs of our elderly residents. For health related issues of our residents, nursing staff is available. We also have a Chef, kitchen assistants, housekeepers and a full time maintenance person. Location: It is very important to have a proper location for a nursing home. We are located in a quiet residential area and it is accessible to all public transport services. Our residents come into our care from various parts of London like South West London region, Sutton, Merton, Worcester Park, Epsom, Banstead, Wimbledon etc. We specialize in providing South Croydon Dementia care. At St Judes Nursing Home, our aim is to cater to the needs of the elderly with care and compassion.